With a meditation mat you'll sit nice and comfortably preventing distractions by sleeping ankle or a cold floor. 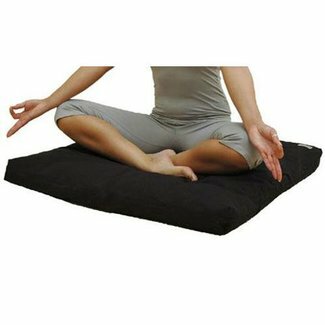 A meditation mat can be used with or without a meditation cushion. Meditation mats are also perfect as Yoga Bolsters by folding them double (and tightening them with the strap). That way they are multi functional during Yin Yoga and Restorative Yoga sessions. Traditional Light Blue Zen Meditation Mat or Zabuton made of..